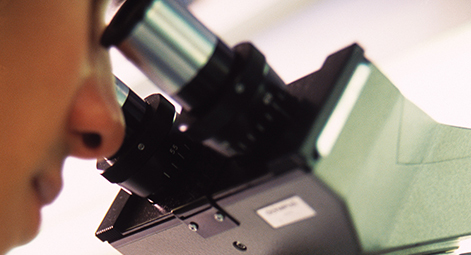 Challenging to the world of biomedical science through original interdisciplinary research. In this Institute, which is located in Nagano Prefecture, the No.1 prefecture in Japan for healthy longevity and which is blessed with its distinctive rich nature, we organically fuse in an inter-disciplinary manner the unique biological sciences and medical research accumulated in Shinshu University to date. We promote research through 4 departments, namely, Advanced Medicine for Health Promotion based on comprehensive preventative medicine and advanced medical treatment; Biological Sciences for Intractable Neurological Diseases through research into amyloidosis and neurochemical disorders; Biotechnology and Biomedical Engineering based on regenerative medicine, development of medical equipment, and nanobiotechnology; and Interdisciplinary Genome Sciences and Cell Metabolism in which health is comprehensively analyzed through diet, environment, and genome. Through these researches we aim to produce Shinshu University's original biological sciences and medical innovation to contribute to the ultra-aged society and sustainable development.